Upper left: Large map including major palm-oil producing regions. Indonesia is just south of Malaysia, and Thailand is just north. Oil palm is also grown in tropical areas of Africa and South America. Right: Palm fruit (image from foodnavigator.com). Lower left: Closer view of palm-growing areas in southeastern Asia (image from globalsecurity.org). Palm oil is used in products from peanut butter to soap. Many craft soap makers, as well as industrial producers, use it. Common names for palm oil and its derivatives include palm and palm-kernel oil, sodium palmate, and palmitic acid, but this is a small fraction of palm-derived compounds; there are many more . Many of these substances are not clearly labeled as palm-oil derivatives. For example, sodium lauryl/laureth sulfates (surfactants in shampoo and other cleaning products) and cetyl alcohol are often derived from palm oil . Palm oil is extracted from various species of oil palm trees (especially Elaeis guineensis), which are grown in plantations in Indonesia and Malaysia, and to a lesser (but significant) extent in Thailand, Columbia, Nigeria, and other tropical areas. Oil palm plantations are a major cause of deforestation, and land grabs by palm oil companies displace communities and leave them landless . The process of land clearing for palm plantations involves logging, burning, and ditching and drainage of peat forests . After palm plantations are established, chemical fertilizers and pesticides (including paraquat) are applied, which causes further pollution of waterbodies. 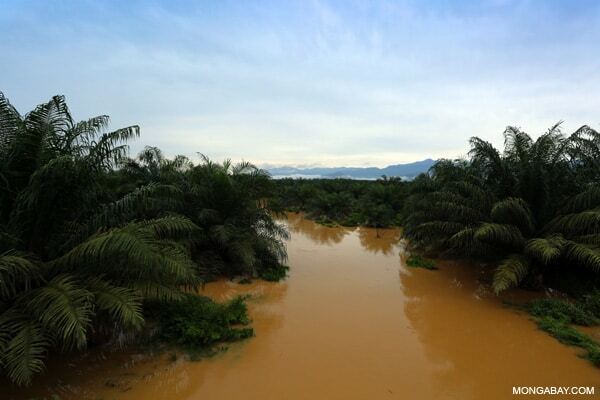 Palm oil mill effluent (POME, consisting of fat, shells, residues, and water) contaminates rivers and coastal areas . Many problems are associated with monocultures, in addition to the loss of complex, life-sustaining ecosystems, and these one-crop systems do not support a diversity of life . Peat forest in Riau province, Sumatra logged and drained for an oil palm plantation (Source: wikipedia.org). Oil palm plantation in Indonesia (Source: wikipedia.org). Various arguments are made in favor of using palm oil. Relative to some other oils, a larger amount of palm oil can be produced per unit of land area and fertilizer . Palm oil is considered a healthy fat (it is saturated without trans fats); it is also stable, odorless, and inexpensive . Palm oil production is a large part of the economy of some countries. However, large producers receive much of the profit; smallholders also profit but face multiple challenges, including access to infrastructure, vulnerability to market price fluctuations, and repayment of loans . 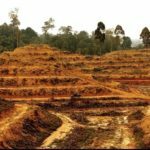 Large palm oil companies frequently force local citizens and communities off of their land . A movement for sustainable palm oil production was started in 2004 by the Roundtable on Sustainable Palm Oil (RSPO) . 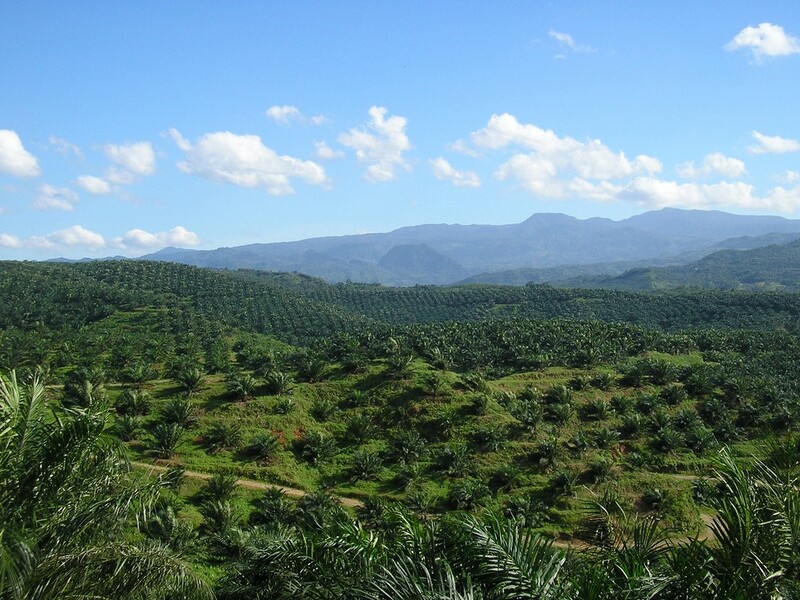 The RSPO maintains that substituting other oils for palm is not a sustainable choice because palm is a high-yielding crop, and so even more land would be needed if other oils were used instead. However, all aspects of production must be taken into account in calculations of overall impact, including losses to biodiversity and local communities caused by clearing land for oil production, carbon losses and soil depletion, water and air pollution by burning and fertilization, and environmental costs of transporting the oil to its final destination. Stream polluted with palm oil mill effluent (POME), Indonesia. I do not believe that there is a compelling case for using palm oil even from certified sustainable sources. 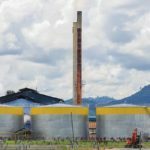 The RSPO-certification and enforcement process, although originally a positive initiative, has been criticized for its inability to enforce its requirements with large producers and for facilitating large-scale greenwashing with its GreenPalm program . So if you have based a decision to use palm oil on information from the RSPO, which has commercial interests at heart, please read the articles linked below  for a better understanding of how this certification process works (or doesn’t) on the ground. A number of major companies (e.g., Lush) have stopped using palm oil because of consumer pressure and awareness of these problems. I believe that soap makers should seriously consider NOT using palm oil for all of these reasons and because of the influence our choices have on others. Do you read labels for ideas and information about what to use in your own homemade products? I do. The cheap price of palm oil does not begin to reflect the true costs of its production to tropical forest ecosystems, communities, and the biosphere as a whole. There are other options (coconut oil, for example). I do not use palm oil in my soaps, and everyone who uses them tells me they last much longer than other handmade soaps they’ve used (many of which contained palm oil). 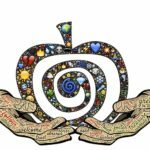 I will profile all of the oils I use in my soaps and other products on this blog. Doing this research might lead me to change some of my practices, too. I want to understand the impacts of my choices as well as I can in deciding what materials to use. as.usda.gov. United States Department of Agriculture. August 10, 2012. Retrieved 30 August 2012. Sheil et al. (2009) The impacts and opportunities of oil palm in Southeast Asia: What do we know and what do we need to know? CIFOR Occasional Paper No. 51. FOE 2004. 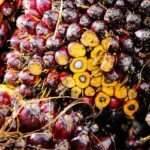 Greasy palms: palm oil, the environment and big business (summary). Friends of the Earth, UK; 30 June 2014, Mongabay, Oil palm plantations degrade local water quality relative to community forest. 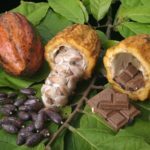 19 Sept 2008, Jeremy Hance, mongabay.com: Monoculture tree plantations are “green deserts” not forests, say activists; 2012–2015, Harvard Center for Health and the Global Environment: Biodiversity and Agriculture. JAKARTA, 6 July 2010 (IRIN) Community news and analysis; April 2012 FoEI and FoEI Uganda, A study on Land Grabbing cases in Uganda; 24 April 2013 Huffington Post, Land Grabbing Looms: New Palm Oil Plantation Threatens Cameroon’s Rainforest; 4 December, 2013 Jocelyn C Zuckerman Africa’s Vanishing Forests, Natural Resources Defense Council (NRDC); GRAIN | 21 January 2014 Long struggle against Indonesia oil palm land grab; 1 May 2014, Marian Swain, The Breakthrough: Can Palm Oil Deforestation Be Stopped? 8 Aug 2013, National Geographic blog, Consumer groups slam greenwashing in sustainable palm oil marketing; 27 Aug 2014, Union of Concerned Scientists,Growing Pains: Why Companies Need to Learn to Eat Their Vegetables and Move Beyond GreenPalm Certificates.